Whether you are planning for your first sprint triathlon or seeking to qualify for Kona, Claudia is uniquely experienced and trained to coach you to success, however you may define it. Competing in 23 Ironman competitions and racing in 12 Ironman World Championships (and this doesn't even scratch the surface of her successful racing career!) there is no better coach to take you through the physical training, nutritional planning and phsychological preparation that someone to has lived it, loves it and knows how to win it! A multi-decade triathlete competing at the pro-level in distances ranging from Sprint to Ironman, Claudia has the on-the-ground knowledge to tailor your training to your specific races and goals. Dedicated to the sport of triathlon, Claudia is an Ironman Certified Coach and holds Sports Nutrition, Sports Injury and Sports Psychology certifications as well. 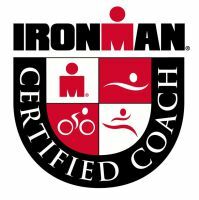 Any coach can draft training programs, dictating when you bike, swim, run and weight train. Claudia takes race planning to an entirely different level by integrating full season race calendar planning, nutritional coaching for both training and race-day and the ever-important mental preparation so you are ready for the race of your life! Races are won and lost on nutrition and hydration alone. The most robust swimmer, the most experienced cyclist or the strongest runner will not be successful without a solid and practiced nutrition plan in place. Backed by decades of experience, Claudia has experienced it all and is singular in her ability to prep her athletes' bodies for optimal performance.